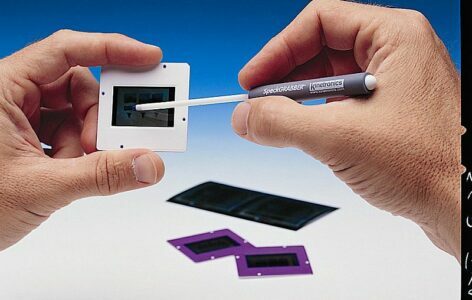 Special Products & Tools for Cleaning Microscopes, Imaging Devices & Optical Instruments. 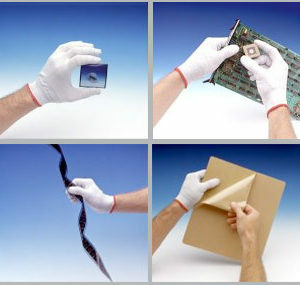 Used in Industrial Laboratories, Museums, Medical and Scientific Labs. 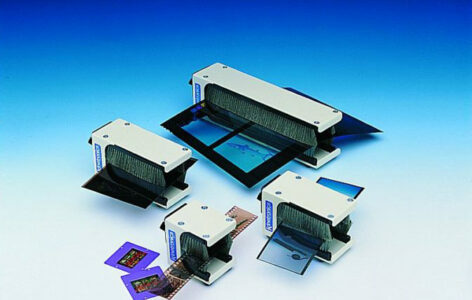 Small dust “specks” are annoying, waste time and can interfere with detailed laboratory work. These tiny particles are difficult to safely remove from microscope and camera lenses, viewfinders, and optical instruments. Kinetronics has designed a handy new kit specifically to facilitate the removal of these specks. 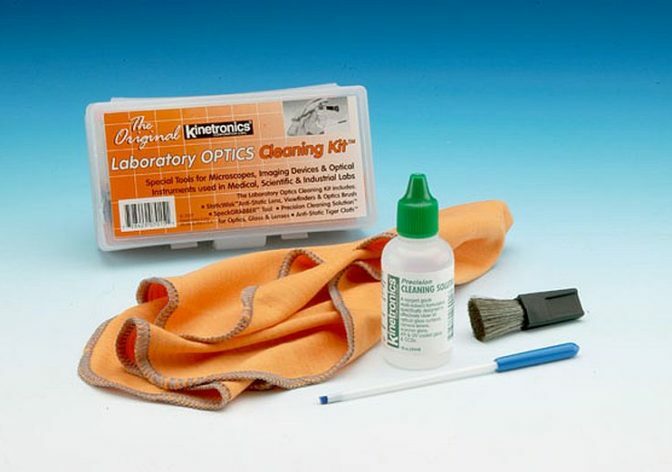 The Laboratory Optics Cleaning Kit includes an anti-static lens and optics brush, an anti-static microfiber cleaning cloth, precision cleaning solution for effectively removing oils and residue from optics and lenses, and a special tool for picking up dust specks. 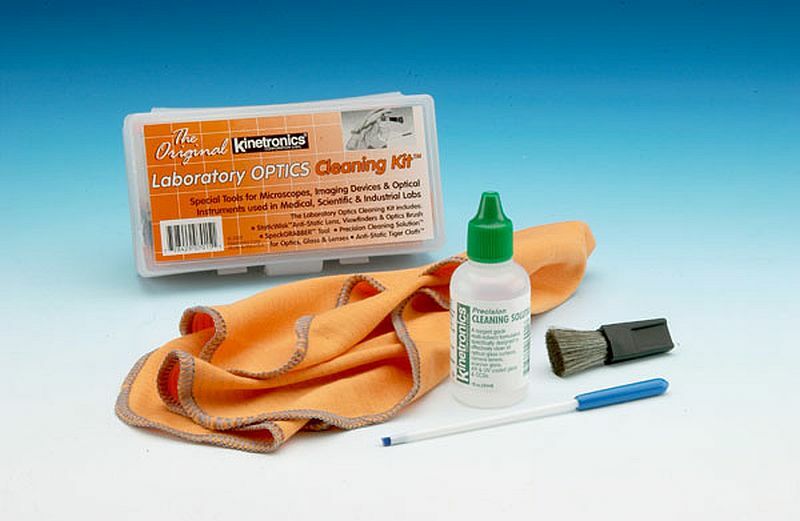 These items will help keep lenses, viewfinders, instruments, and cameras clean and sharp for more accurate results. StaticWisk™ SW-020 anti-static lens, viewfinder and optics brush. SpeckGRABBER™ for removing dust specks from hard to get at places. 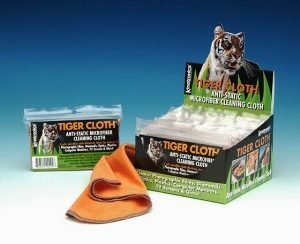 Tiger Cloth™ anti-static microfiber cleaning cloth. Precision Cleaning Swabs specially shaped foam swabs. Precision Cleaning Solution™ for effectively cleaning oil and residue from optics, plastics, glass and lenses.